Product #18381 | SKU MD-NBV | 0.0 (no ratings yet) Thanks for your rating! A V-Mount battery plate with an exceptional total of 5 D-Tap outputs. 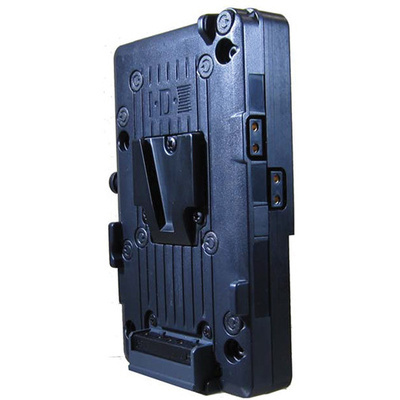 The IDX Multi D-Tap V-Mount Adapter Plate is a standard V-Mount battery plate with an exceptional total of five D-Tap outputs for powering accessories such as monitors and recorders. Max draw is 10A with each D-Tap fused at 2A. Like any standard V-Mount plate, this plate mounts by sandwiching in between a V-Mount camera and a V-Mount battery or between a V-Dock and a V-Mount battery.